Since the ACA was enacted eight years ago, many employers are re-examining employee benefits in an effort to manage costs, navigate changing regulations, and expand their plan options. Self-funded plans are one way that’s happening. In 2017, the UBA Health Plan survey revealed that self-funded plans have increased by 12.8% in the past year overall, and just less than two-thirds of all large employers’ plans are self-funded. 1. Lower operating costs frequently save employers money over time. 2. Employers paying their own claims are more likely to incentivize employee health maintenance, and these practices have clear, immediate benefits for everyone. 3. Increased control over plan dynamics often results in better individual fits, and more needs met effectively overall. 4. More flexibility means designing a plan that can ideally empower employees around their own health issues and priorities. 5. Customization allows employers to incorporate wellness programs in the workplace, which often means increased overall health. 6. Risks that might otherwise make self-funded plans less attractive can be managed through quality stop loss contracts. It was recently unveiled the latest findings from our 2017 Health Plan Survey. 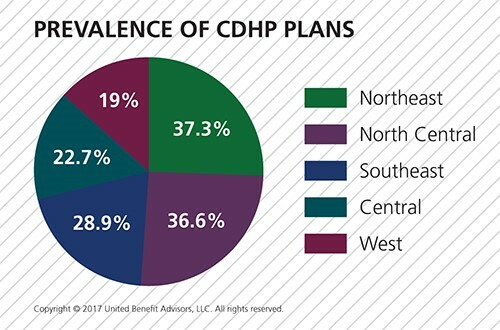 With data on 20,099 health plans sponsored by 11,221 employers, the UBA survey is nearly three times larger than the next two of the nation’s largest health plan benchmarking surveys combined. To learn more, watch this short video below.